From many Easy Vietnamese Recipes, today I would like to introduce one amazing dish for you. 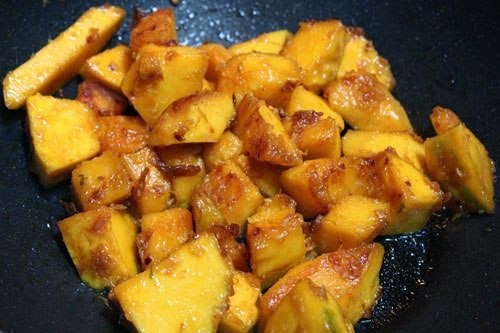 It is called Stir-fried Pumpkin with Garlic (Bí Đỏ Xào Tỏi). It is not only easy for cooking, but also really good for health. 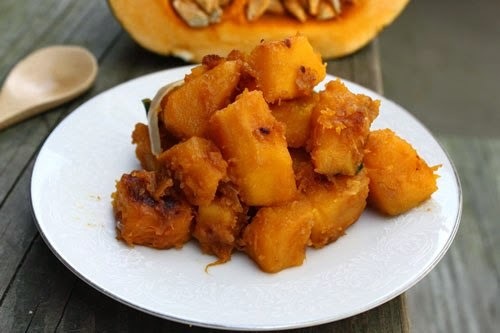 This pumpkin contains many good elements for our bodies. Moreover, it also helps to reduce weight if you want to get diet. Why don’t we try cooking one of stunning Easy Vietnamese Recipes like this? 1 brand of spring onion (cleaned and sliced small). Step 1: Peel off the cover of pumpkin, clean and slice into short pieces. Peel off the cover of garlic, mince well. 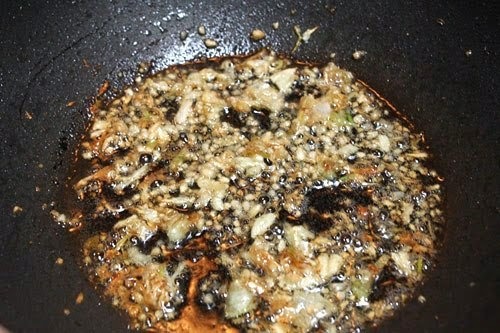 Step 2: Heat 2 teaspoons oil, fry garlic until it is fragrant. Next, add sliced pumpkin and stir gently. Add more 1 – 2 teaspoons water and a little spices, cover the pot. If it is too dry, you can add more water and taste again to suit your flavor. Step 3: Here is the final step from one of Easy Vietnamese Recipes. 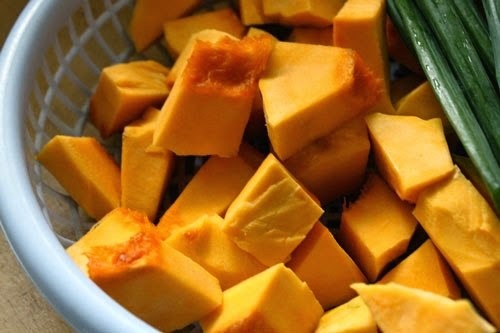 Cook until pumpkin soft, taste again, turn off the heat, sprinkle more pepper and sliced spring onion on top. Finally, you can serve this dish with steamed rice and hot soup. I suggest you should eat when it is still hot to maintain its special flavor. Hope you will satisfy with one of Easy Vietnamese Recipes like this one and good luck for your cooking.